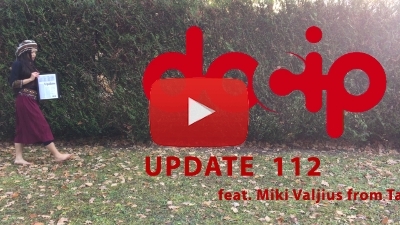 Docip has the pleasure to share with you our last publication of this year, the nº112 of the Update. This new edition of the Update makes in the Focus section a brief history of the adoption of the UNDRIP, with its challenges and good practices. The Ongoing Processes section presents in which sense indigenous peoples' land rights are shrinking in the international arena, by first looking at around indigenous peoples' traditional knowledge; the right to life of indigenous peoples' rights defenders and the indigenous peoples' policies of the European Union. The Latest News recalls the new possibilities provided by the EMRIP revised mandate and Regional News on the Russian Federation, Transcaucasia and Eastern Europe and Asia. Docip team finally updates you on our projects for this year. Last but not least, in order to answer some requests, an overview of the main conferences and deadlines to be aware of in 2018 has been included in the new Agenda section of the Update. Also, on its online version, hyperlinks have been inserted for you to find quickly a referred source or document. Finally, thanks to the team for their collaboration on this issue: Ms. Mary Holihan (proof reading), Ms Leyla Babayeva and Ivan Gorovenko (translation in Russian), M. Diego Guzmán (translation in Spanish), Ms. Clémence Berger (translation in French), Ms. Martine Musy (layout).